Updated events and information from Red Coach Inn: Niagara Falls' Premier Restaurant and Inn located 500 feet from the upper rapids! 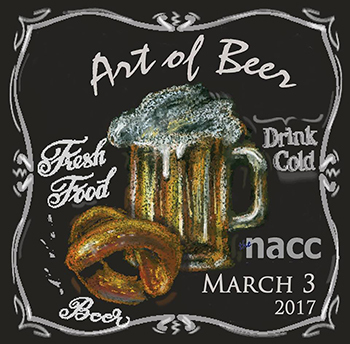 The Red Coach Inn supports the NACC for its largest annual fund-raiser, the Art of Beer. This event is an amazing showcase of our local breweries and restaurants. Spend a great night out with friends and family! We offer a special package--tickets to the Art of Beer, overnight accommodations, and safe transportation between the Red Coach Inn and the NACC. Check out our different packages below for a complete Art of Beer experience! New Year's Eve Feature Menu: Ring in 2019 with the Red Coach Inn!